A visit with the "Greats"
This past August, we made a trip out West–to western ND that is, to see the kids’ great grandparents. As David and Heather were up visiting from WV, Julie and I met up at mom and dad’s to all be together. We all took the road trip together, and Heidi met us at Grandma Esther’s house. Grandpa Artie and Grandma Mary joined us at the house. 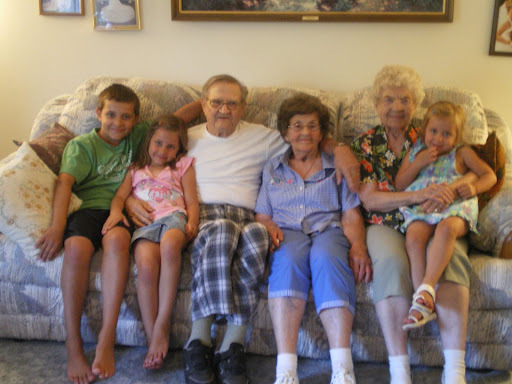 We had a GREAT time visiting the “Greats” and the kids had a blast tearing up Grandma’s house…haha! 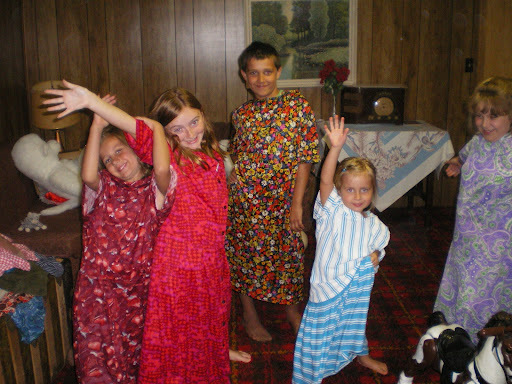 It was fun watching the kids play dress-up with the play clothes in Grandma Esther’s dress-up chest just like we used to when we were kids. And yes…that is my son in a dress! 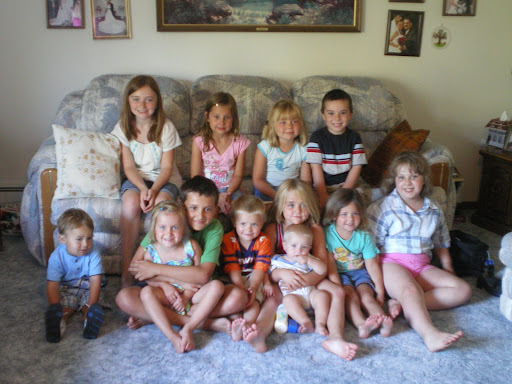 Here are all the cousins that got to be there (we were still missing some. 🙁 Wish we all could have been there). Next Next post: Welcome to the World of Wadholms — Zoë Louise!